Cowrie shells have been held precious by many cultures since prehistory. In Africa they were used for divination, spiritual practice and as currency. 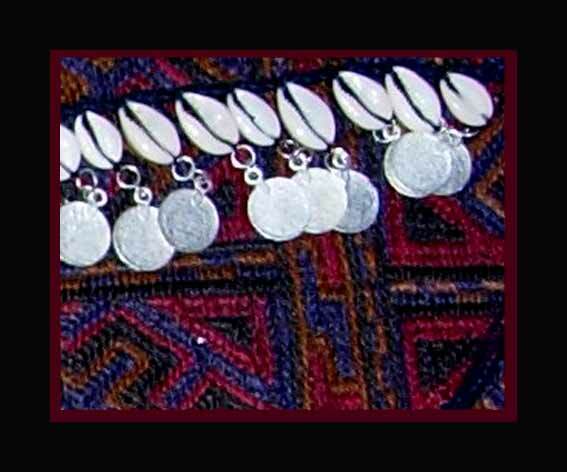 Costuming from Afghanistan to the Antilles are adorned with cowries.This single strand of beautiful cowrie shells with antique coin dangles attached to a sturdy braided waxed cord has a multiplicity of uses; Hip belt, or turban adornment, necklace, choker, or bracelet. 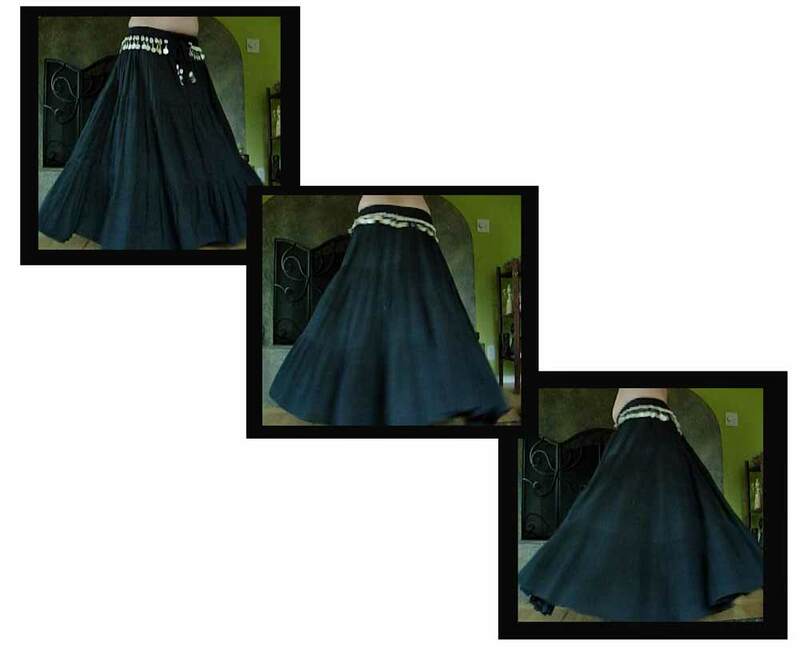 And a great DYI trim for bras and costuming! 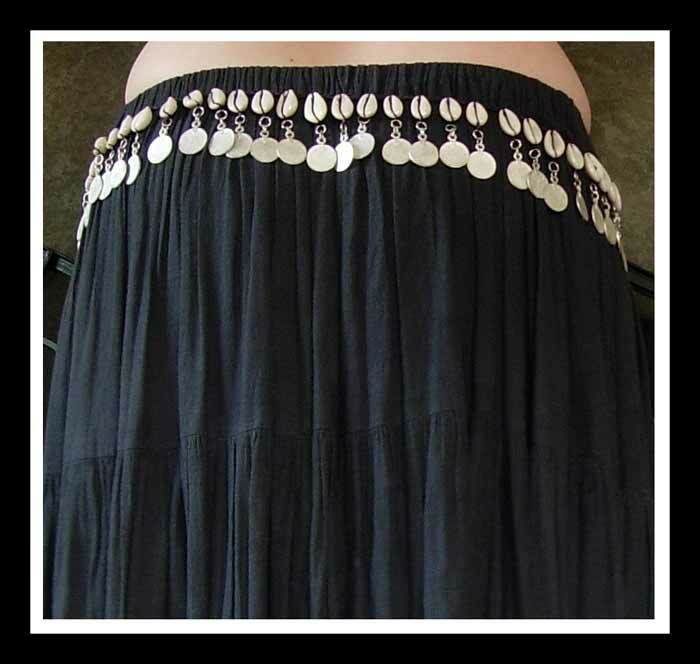 Sizing: Adjustable belt easily fits hips from 36 inches to 50 inches, smaller hips can over-lap belt, for larger hips buy two and over-lap! 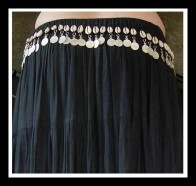 Matching Cowrie Pieces can tie you costume into a pleasing whole! Part of the Cowrie Collection!